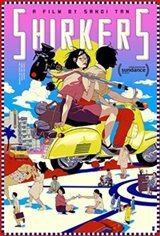 An inspired labor of love for zine-making teens Sandi Tan, Jasmine Ng and Sophie Siddique, Shirkers was a Singapore-made 1992 cult classic-or it would have been, had the 16mm footage not been stolen by their enigmatic American collaborator Georges Cardona, who disappeared. More than two decades later, Tan, now a novelist in L.A., returns to the country of her youth and to the memories of a man who both enabled and thwarted her dreams. Magically, too, she returns to the film itself, revived in a way she never could have imagined, on a personal, singular odyssey across two continents in search of Georges' vanishing footprints - and her own.